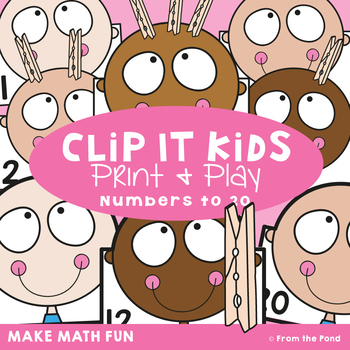 Have fun learning to count to 20, develop 1:1 correspondence and match quantities to numerals with our fun Clip It Kids! Please note that Clip It Kids are in Math Pack 2. 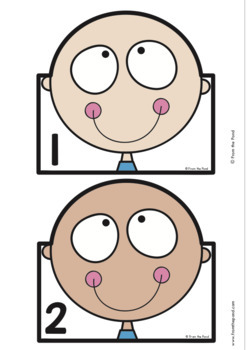 This printable card game is ideal for small group math rotations or center work. Students will clip each card with an appropriate quantity of paper clips or clothespins (pegs). This game will help your students with basic counting, determining quantities and numeral identification. cover page. The cover page can be printed and used to help organize your game/activity tubs/pouches/packets or folders. Find more fun number activities in my store!